A modern and aesthetic POS system is critical to branding and overall customer experience provided at the checkout, but it must also have the power and functionality to allow you to serve customers efficiently. You can have it all with Partner Tech’s SP-550 touch POS terminal. The Partner Tech SP-550 is a sleek, energy efficient POS terminal with a compact footprint. This allows retailers to optimize counter space and leaves room for sales boosters like impulse purchase displays. The SP-550 is an ideal solution for creating a lasting and positive final impression on the customer. Quick and efficient service is the cornerstone of any and every business from retail to hospitality. Because the SP-550 is powered by a lightning fast Intel® Celeron® Processor Bay Trail-D J1900 (2.0GHz up to 2.42GHz, 2M Cache), it can handle demanding applications and process payment transactions in record time. 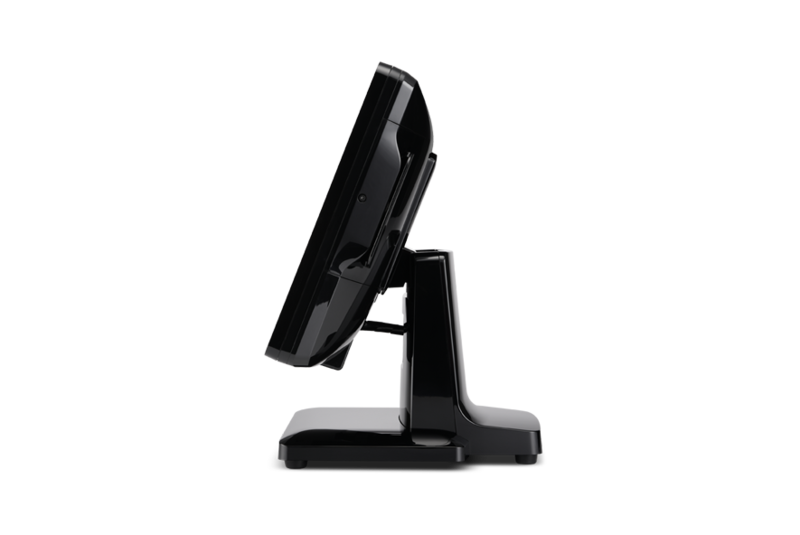 Furthermore, the POS terminal supports up to 8 GB of memory and has a storage capacity of 128 G solid state drive. Accidents are unavoidable in the restaurant and retail industries. Spills, drops, and dust, are all part of busy, high-traffic environments. 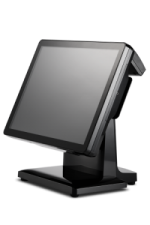 Purchasing rugged hardware is crucial for long term cost of ownership and the ROI of any POS hardware solution. The SP-550 is constructed using fanless technology, which minimizes the risk of damage from dust or dirt that could be pulled into the POS terminal with a fan. 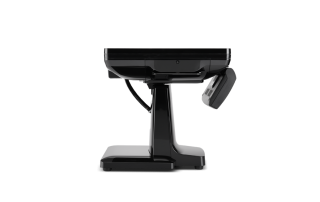 In addition, this POS terminal has no moving parts, which minimizes the chance of damage from impacts that can occur in busy, high-traffic retail stores and restaurants. The SP-550 has an IP54 sealing rating, which is required by all restaurants against spills, dust and particles that could compromise the system and cause downtime. While rugged hardware is critical in high impact industries, the technology’s appearance shouldn’t be compromised. First impressions are made from the appearance of your establishment and your POS hardware stands center stage. The SP-550 features an attractive, bezel-free, true flat touchscreen with projected capacitive touch technology. The 15-inch display is equipped with an LED backlight for low light situations and pole and wall-mount options for maximum flexibility. A wide tilt viewing angle ensures that you can always see the screen comfortably. 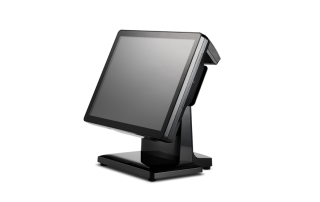 Scalability and flexibility are crucial elements for consideration when you’re selecting POS hardware. 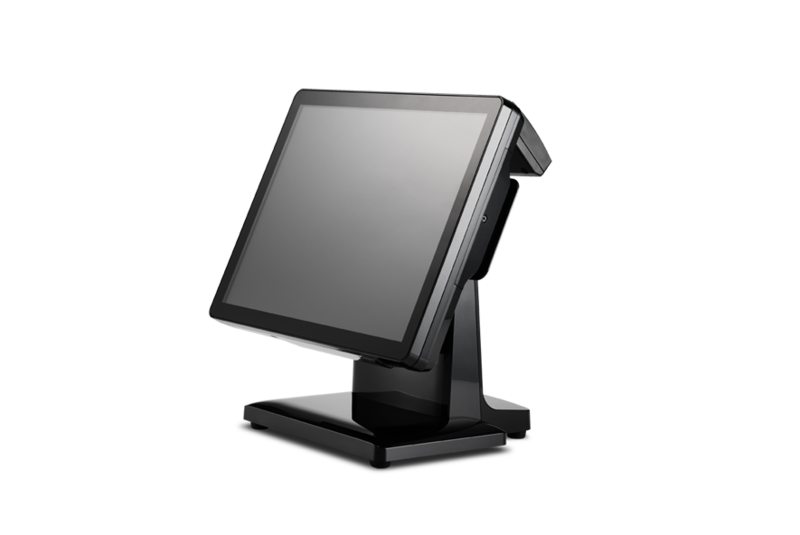 You need POS terminals that are capable of growing with your business. One of the SP-550’s strongest points is its flexible design, which can be reconfigured at any time. 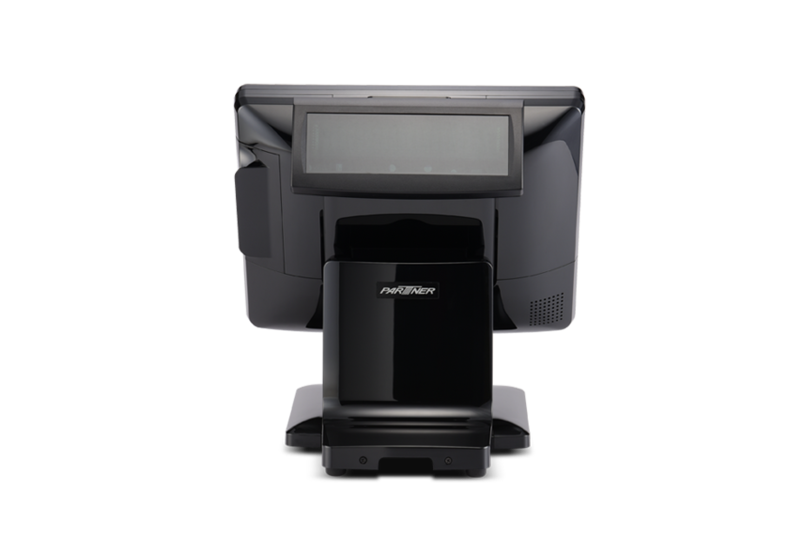 The POS terminal features six USB ports, LAN, VGA and COM ports, and accessibility for a cash drawer if needed. A mini PCI-e and wireless LAN module provide added power when necessary. The SP-550 is a versatile solution with a wide range of peripheral ports allowing for customization for just about any use. 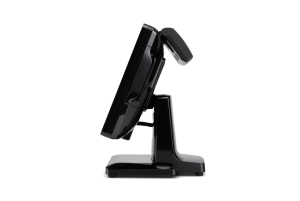 There are several optional peripherals, including an encryption capable magnetic reader. 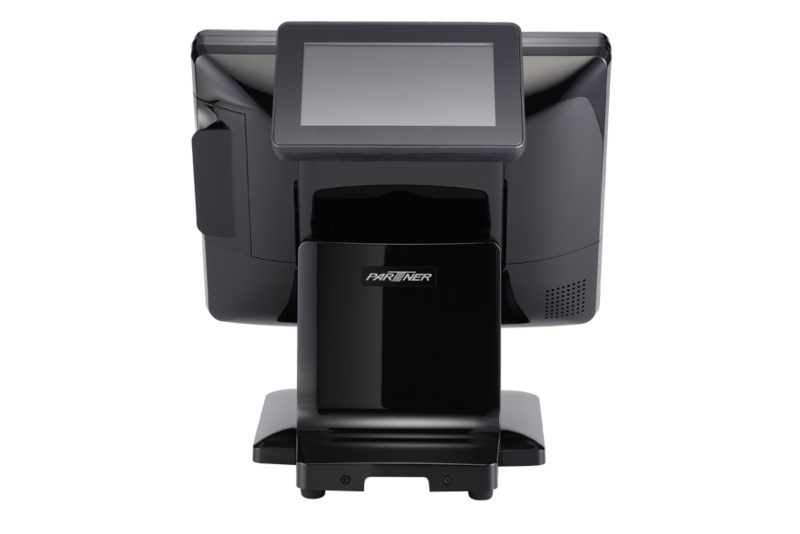 Often, customers prefer to watch staff ring up items in real time on a customer facing display; secondary customer display options include a VFD (2×20) or 7-inch LCD screen that can help you increase customer engagement. 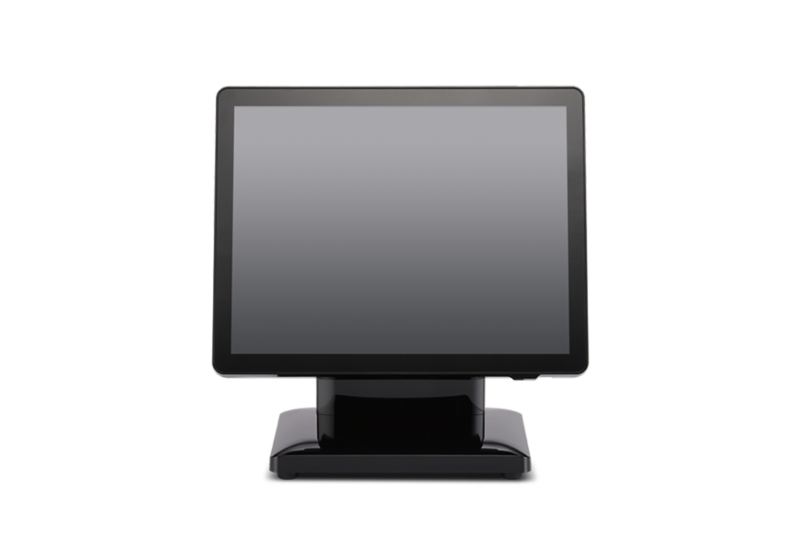 If additional branding and digital signage is your objective, you can choose from 11.6-inch or 15-inch LCD monitors. The SP-550 offers your choice of operating system, including Windows 7, Windows 8.1, Industry Pro Retail 8.1, Windows 10 and Linux (Ubuntu). Perfectly sized for sitting on a counter or in areas where you’re tight on space, the SP-550’s footprint measures just 14.7” x 9.17” x 12.71. 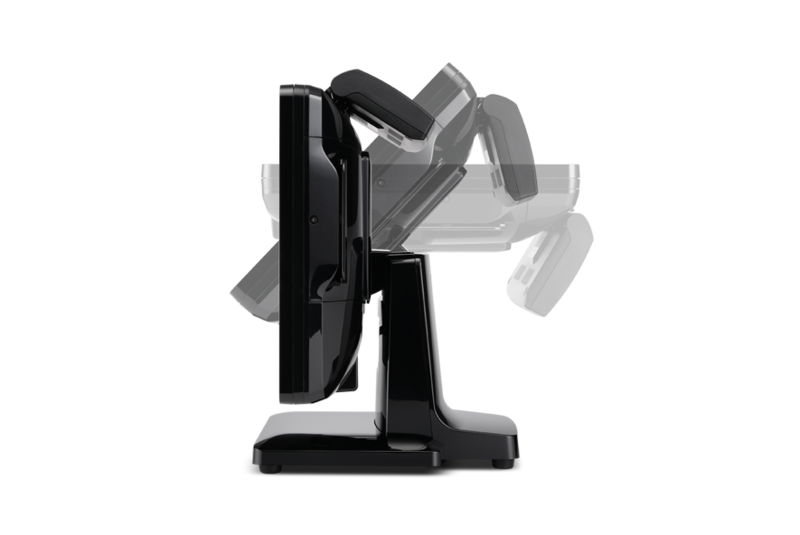 The SP-500 has a stylish, glossy finish and is available in black or two-tone black and white. The SP-500 is energy efficient, which contributes to your corporate environmental-friendly policy — as well as energy cost savings.